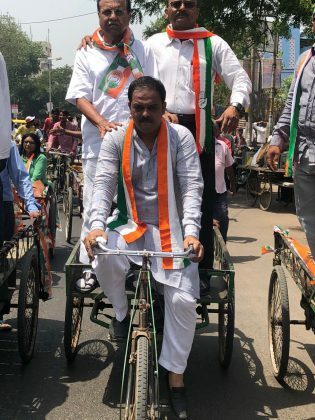 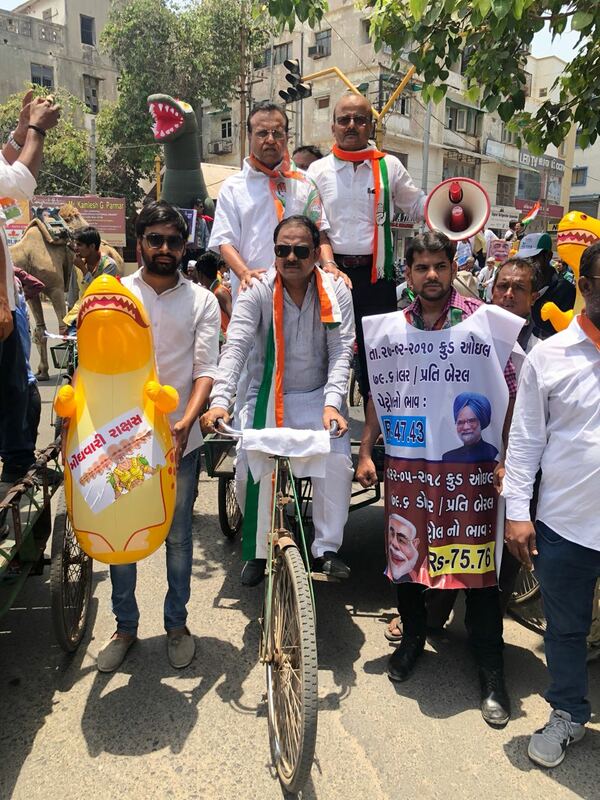 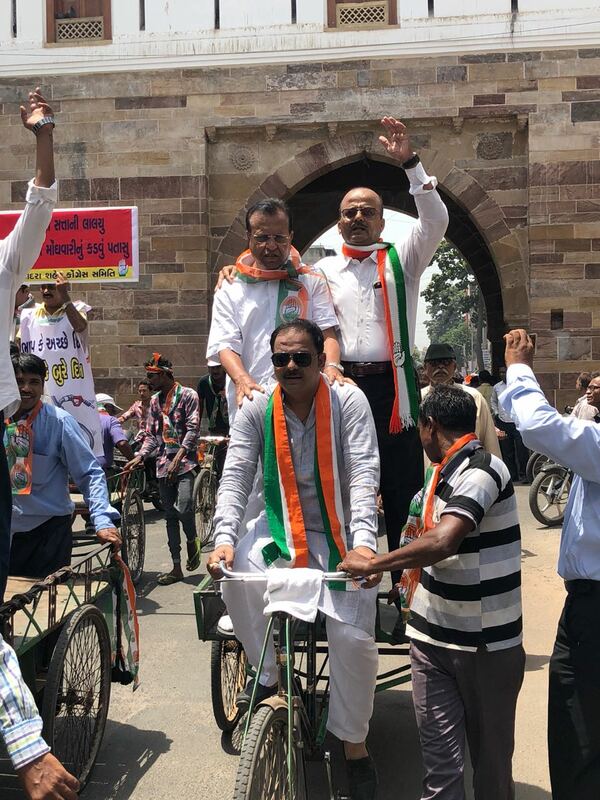 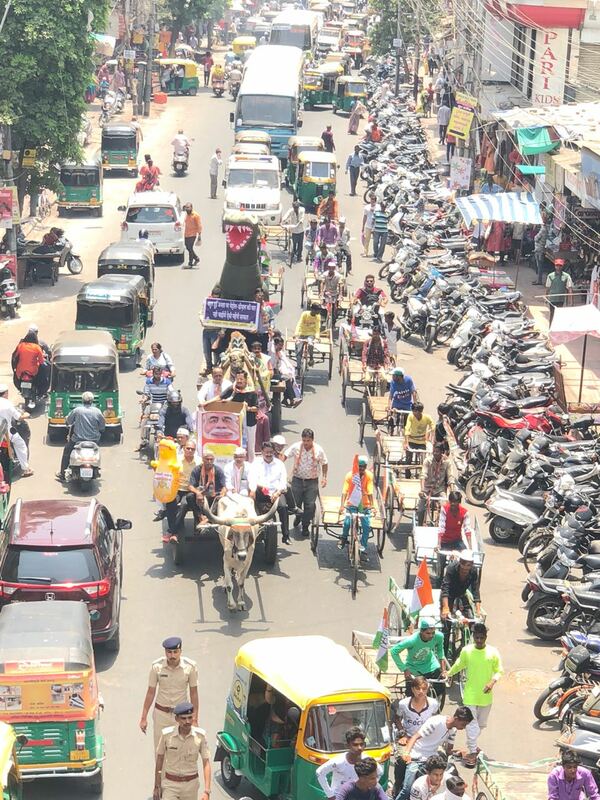 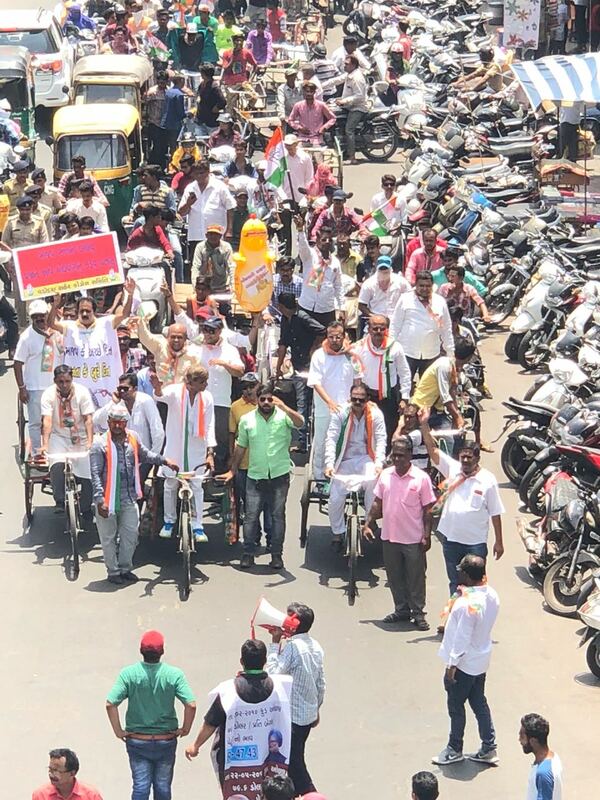 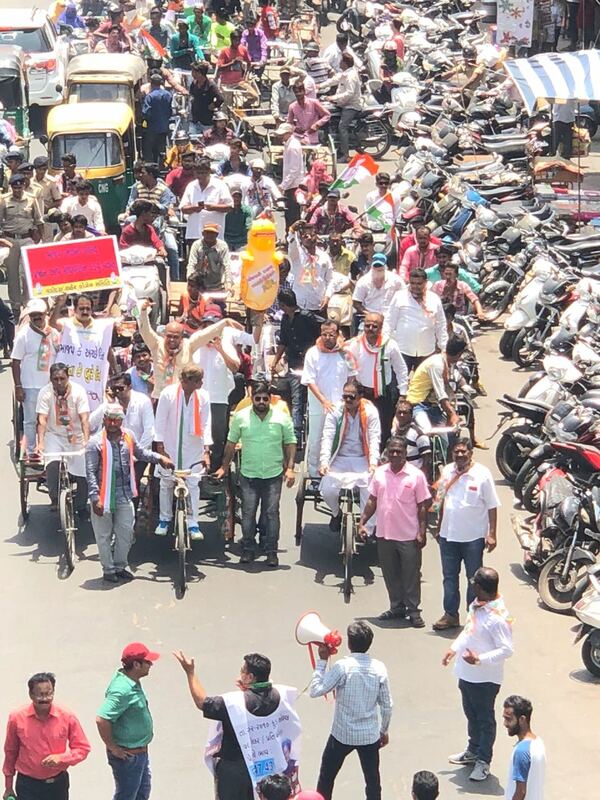 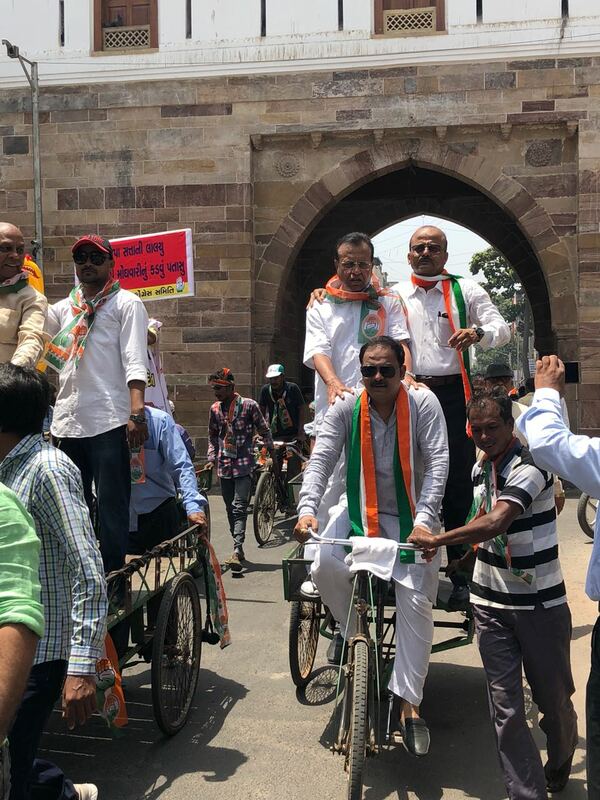 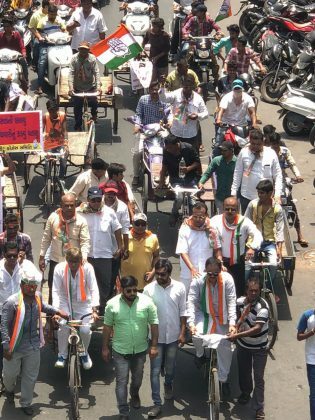 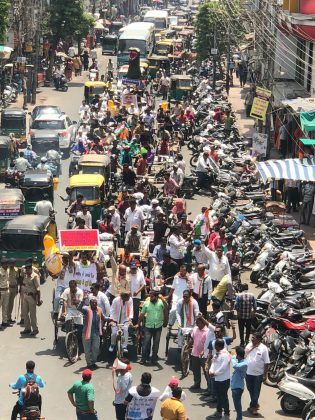 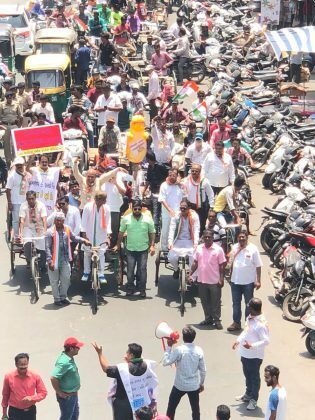 Vadodara Congress took out a unique rally to protest against the price rise of Petrol and diesel. 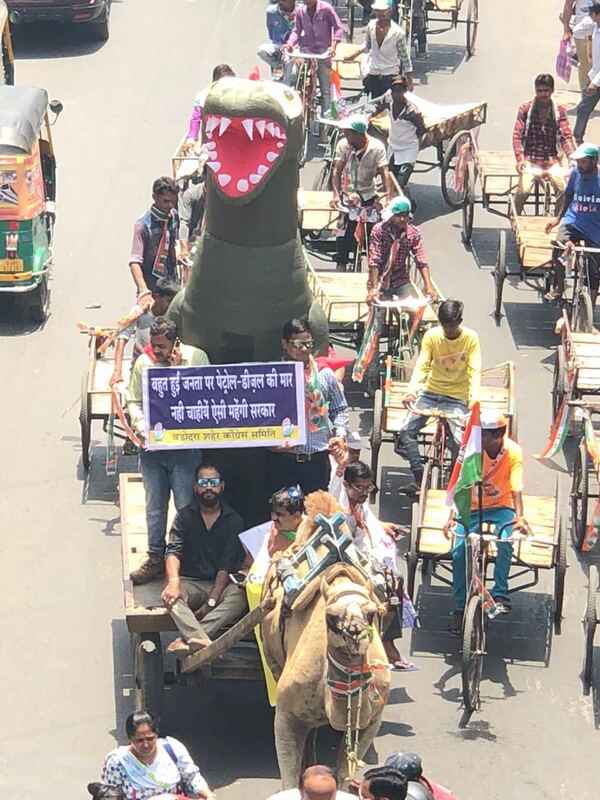 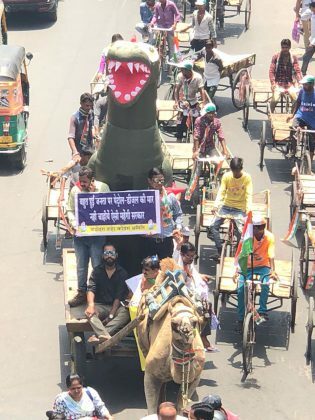 They make effigies of inflation demon, dinosaur and includes three wheel richshaw, cycles, camel carts and others in the rally passed through many areas of the city. 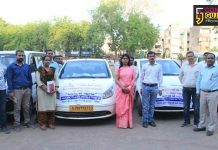 The rally strated from Pratapnagar and passed through areas like Chowkhandi, Mandvi, Nyaymandir and ends at Gandhinagar Gruh. 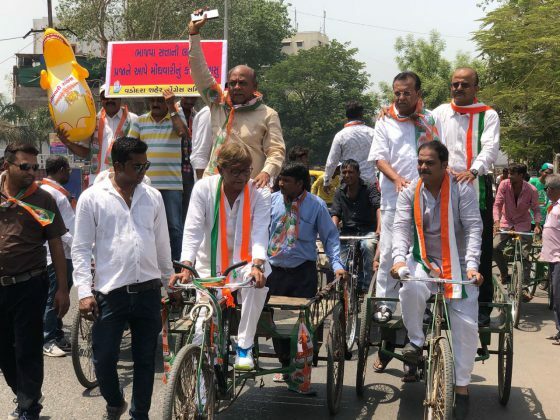 The effigies was the main attraction along with the Congress leaders who drive cycles with banners to protest against the price rise of petrol and diesel. 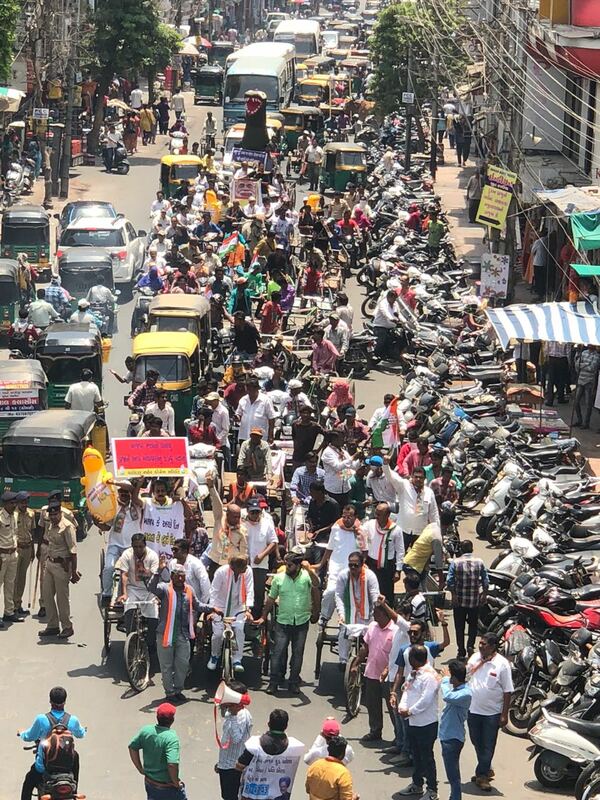 With banners and posters the Congress members shouted slogans against the BJP government during the rally which also disrupt the traffic at many points. Congress President Prashant Patel accused the BJP government for their failure to control the increasing prices of Petrol and Diesel and that ultimately effect the common man of the country. 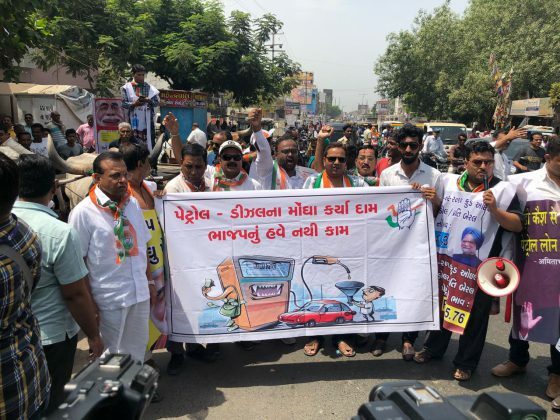 They request the government to control the prices or else threaten to aggressive protest in coming days. 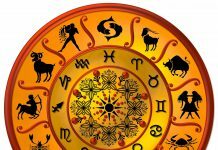 Next articleSalman Khan shares an adorable picture of ‘chweet’ Jacqueline Fernandez from ‘Selfish’!